With a fresh extension through the summer and eight Whatsonstage award nominations under its belt, Cameron Mackintosh’s new musical Half a Sixpence has certainly made a name for itself in the West End. 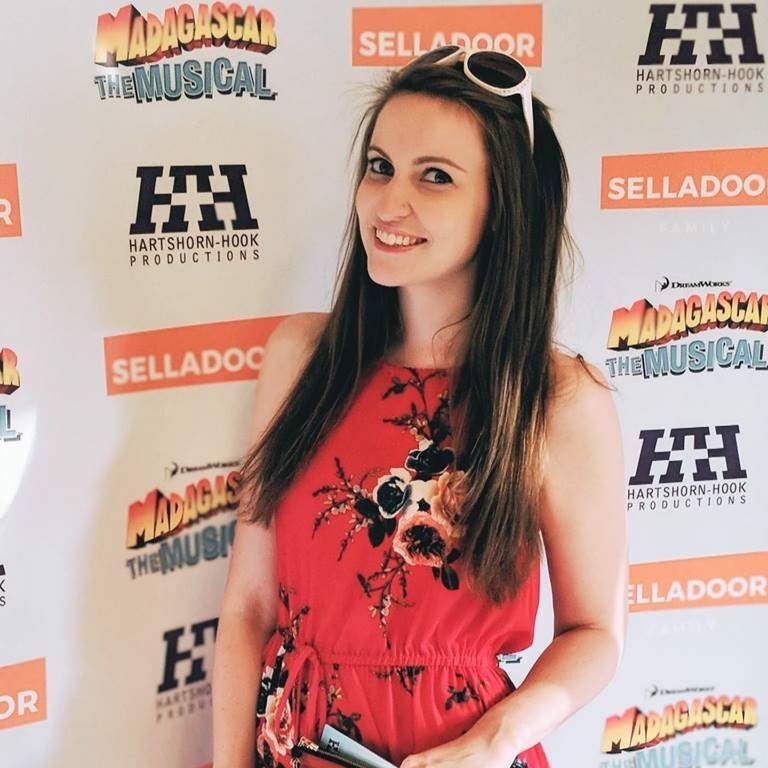 I sat down with two of the show’s leading ladies, Devon-Elise Johnson who plays Ann and Bethany Huckle who plays Flo, to talk CamMack’s top ideas, falling over on stage and who they would give half a sixpence to. Bethany: When I listened to it I thought it was great cos it was old school, and old school is fun but knowing that it’s a new musical too is really exciting. Devon: As soon as I got the score I fell in love with it. My agent called me at 10.30pm on a Saturday and said you have nine pieces of material to learn, lock yourself in a room and don’t come out until Tuesday morning! When they said I was up for Ann I did a bit of research into this girl and she was right up my street, I thought she was brilliant. B: You can’t beat an old musical. D: Yeah it’s traditional British and there’s nothing horrible in it! B: I think that’s why it’s been so well received in London. It’s a feel-good musical and you come out smiling. D: I’ve not seen one person at stage door with a sad face. Everyone’s grinning and laughing and saying that they’re going to come back. You were both in original run at Chichester Festival, how do you think the show has evolved since then? Bethany: Back the Right Horse was a big ensemble number in Chichester. Cameron decided he didn’t like it but didn’t have the time to change it. In London rehearsals I remember we heard them upstairs singing it but with a completely new tune. Drastic but it changed for the better! Devon: Cameron knows what he’s doing. Whenever he does something you know he’s going to be right. B: I’ll always remember our faces during the original rehearsals for Pick Out a Simple Tune. We didn’t have any of the ‘instruments’ and it wasn’t enough for Cameron. After lunch, he comes back with bags of pots, spoons, cups, plates, shakers – it was epic! D: He’s a genius – and look at it now it’s an incredible number. I’m gutted because I literally just stand there but I get to watch you all go absolutely nuts with spoons and pots, trying hard not to laugh! So is that a favourite part of the show? Devon: Nooooo, we have the same favourite part. Well, I hope we do! Both (laughing): TOUCH OF HAPPINESS! D: That is my ultimate favourite part. B: It’s so much fun. D: We actually have such a laugh. I fell over the other night. I don’t even know what I happened. I just slipped on my skirt or something and then I couldn’t get up. D: I enjoy that song every night, I always come off laughing. The audience relaxes and you see two friends having a really nice time, especially for Ann. Arthur leaves her and you see her being cheered up by her best friend. You obviously get on really well off the stage too! Do you think you’re similar to your characters? Bethany: I’m not gonna lie, my character is pretty much me. B: She’s cheerful, a tiny bit sassy. Flo is with the boys half the time so she has to stand her ground. She’s one of the lads! D: I’d say I’m Ann but I only made that discovery when Cameron pulled me to one side after a show in Chichester and told me I was trying too hard. He said: ‘when you walked into the audition, you were Ann, so I just want you to be yourself’. It took a lot of soul searching. I kept asking the girls ‘who am I? !’ Then I allowed myself to relax into it which hopefully is coming out more since being here (at the Noel Coward). Bethany: We’re thrilled – an evening to do whatever we want! Devon: Don’t get me wrong, I love this life, it’s what I chose to do, but to have the opportunity to see friends who work 9 to 5 is lovely. B: You do miss people who work 9 to 5 unless you have a cheeky lunch break! D: Equally it’s great for the show as the matinees do so well here! It’s a show that attracts an older generation, but it’s also appealing to young people who are expecting it to be old and ‘fuddy duddy’ and it’s not. B: It’s the opposite of what people expect. Are there any shows you’ve seen recently that you’ve loved? Bethany: Last month I saw Murder Ballad – it was so good! The understudy was on and she was fierce. And I saw Wicked for the first time which is embarrassing. I enjoyed it but I definitely should have seen it at least four years ago! Devon: The last thing I saw was 27, which was interesting. Odd, but it was amazing. The songs were incredible; I was blown away by the voices. Prior to that it was Book of Mormon which is hilarious! The amount of love and care that has gone into this show – I absolutely adore it! Some people are saying that Broadway nurtures new shows better than London does. What do you think? Devon: Off west end has loads going on. I did Taboo at Brixton but that was classified as something really upcoming and it was well supported. I think theatre is more appreciated over there. Bethany: It’s the producer as well. If they believe in it, they will make sure it does well. Cameron has put this show everywhere, from Facebook to the One Show. D: It’s doing so well. The amount of love and care that has gone into this show, and the detail. I absolutely adore it and I think it’s got life after this as well. Finally, who would you give the other half of your sixpence to? Bethany: I’d have to give it to my boyfriend because he bought me this (showing half a sixpence on a chain). He said ‘it’s the cheapest present in the world but it’s so sentimental’. Devon: My mum! She bought me two half sixpences for opening night in Chichester, she’s got the other. 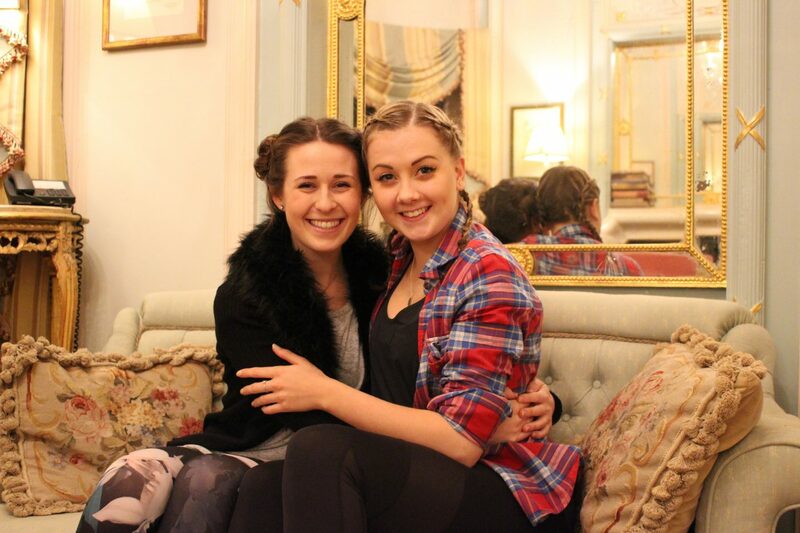 We’re best friends – she’s incredible and so supportive. You can catch Devon and Bethany at the Noel Coward Theatre until 2nd September. Half a Sixpence tickets are available here and you can read my four star review here.